Brazilian world-soul artist Poranguí masterfully weaves ancestral songs and indigenous rhythms from around the world as a one-man live looping orchestra. Drifting from serenades and storytelling to beat boxing and dancing, an evening with Poranguí is sure to be a memorable one. 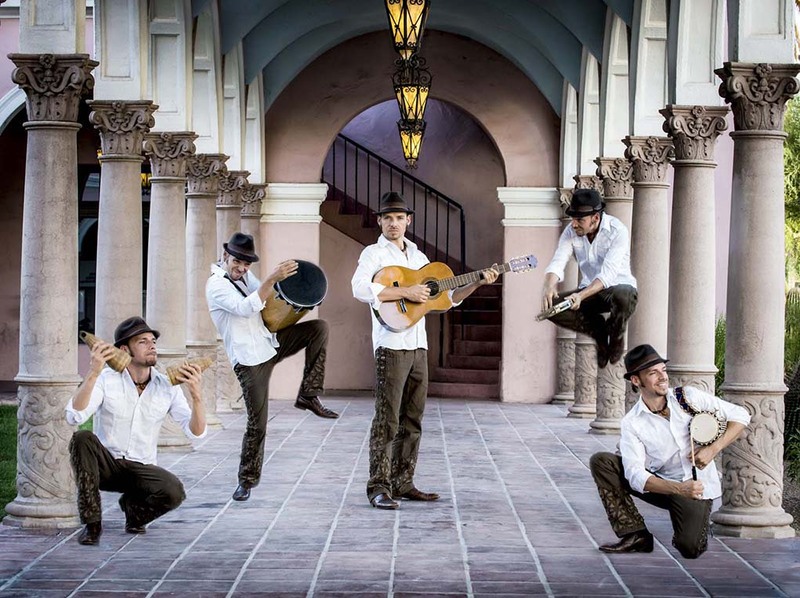 Reared among the three cultures of Brazil, Mexico, and the United States, Poranguí was steeped in various traditional forms of music since birth. Drawing from his cross-cultural background and ethnomusicology training at Duke University, he has over fifteen years of international work experience. As a musician proficient in dozens of world music instruments including didgeridoo and pre-Columbian flutes, he has been featured on albums ranging from Latin jazz to Brazilian batucada, and his musical compositions have been used in independent theatrical and film productions. Poranguí has traveled and performed internationally with renowned artists, including recording with the BBC in London at the Jazz Café, as well as the PBS Singer-Songwriter Series. Further testament to his range are his role leading Phoenix’s own 10-piece AfroBrazilian ensemble Grupo Liberdade. Joining him on stage are several guest artists, including Eric Zang (kaval flute), Kayt Pearl (spoken word), and Ashley Klein (Afro-Brazilian dance).